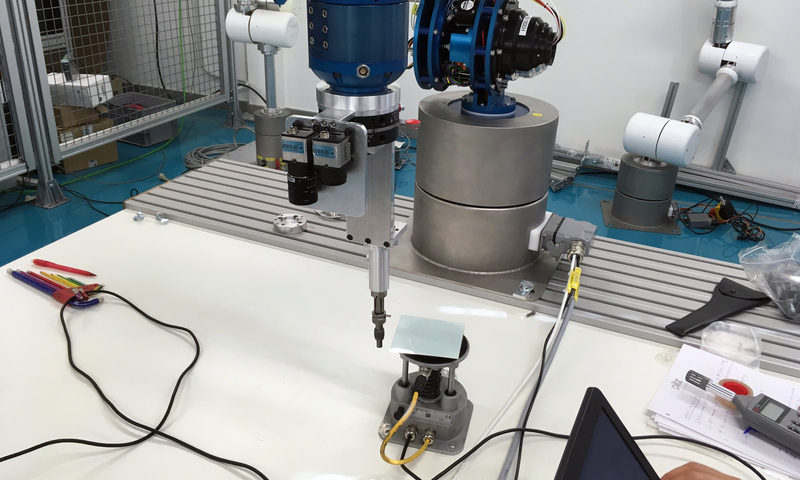 In the last week of September, project partner PILZ Spain & Portugal performed collision measurements of FourByThree cobots at IK4-TEKNIKER, where the ALFA scenario has been set up. The PILZ collision measurement set PROBms was used during validation of human-robot collaboration and served to record the force and pressure that would result in the event of a potential collision. This is an important step towards industrial validation, since these measurements will ensure fulfilment of ISO/TS 15066 force and pressure levels.